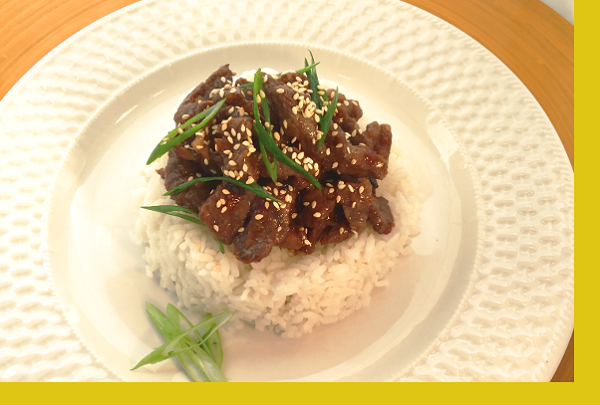 Tender cuts of sirloin beef, stir fried and bathed in a classic teriyaki sauce. Flavorful, filling and fresh. 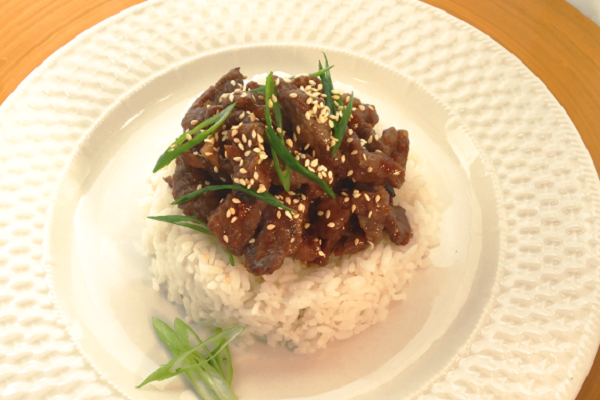 Marinate beef for 30 mins up to 2 hours. Drain and discard marinade. Toss beef in corn starch. Coat a pan with oil and heat on medium high. Cook beef 3-5 mins until cooked through and lightly brown. Remove beef and set aside. Add sauce to same pan. Cook about 5 mins until it slightly thickens. Return beef to pan and toss to coat. Remove, add sesame seeds to garnish. Serve with rice. This dish hit the spot. Great flavor and easy to make. I'm not a huge fan of teriyaki, but this was delicious! I will order again. Taste just like home.....I am from Hawaii and I've had a lot of Teriyaki in my life time and this was right up there with home cooking...just easier on the cook.